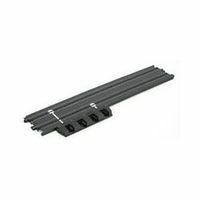 This is the Tomy 15"Dual Power Pack Terminal Track by AFX. 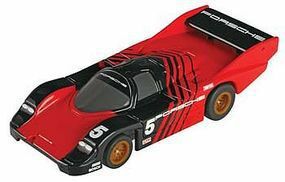 This is the HO Scale Mega-G Porsche 962 #5 Slot Car by AFX. Suitable for Ages 8 & Up. 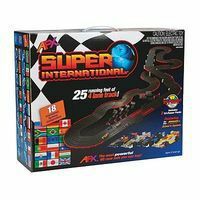 This is the Super International (MG+) Raceway Complete & Ready to Run Electric Slot Car Racing Set by Tomy AFX. Suitable for Ages 8 & Older. 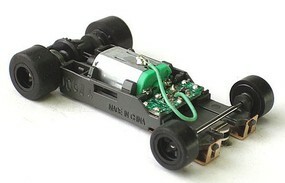 This is the Mega G+ Long Rolling Chassis by AFX. This is the 9" Chicane Track from AFX Racing. Suitable for Ages 8 & Up. 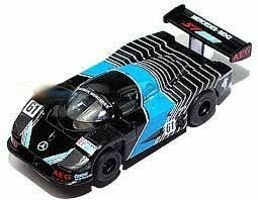 This is the HO Scale Mega-G Porsche 962 #17 Slot Car by AFX. Suitable for Ages 8 & Up. 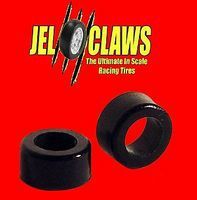 This is the 1/64 Rubber Racing Tires for AWD X-Traction (10) Slot Car Part by Innovative Hobby Supply. 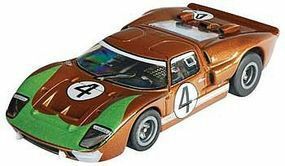 This is the HO Scale Mega-G+ Formula Twin Pack Slot Car by AFX. Suitable for Ages 8 & Older. This is the Infinity Raceway Set from AFX. Suitable for Ages 8 & Older.